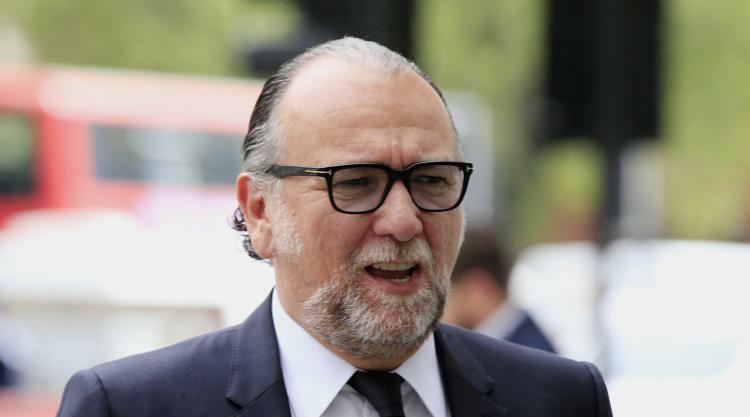 Francesco Becchetti has sold Leyton Orient to a business consortium headed by Nigel Travis, a lifelong fan and chief executive of the Dunkin' Brands Group. The O's, who have been in free-fall ever since Italian Becchetti bought the east London club from Barry Hearn in 2014, saw their 112-year stay in the Football League come to an end when finishing bottom of Sky Bet League two last season. Earlier this month, a winding-up petition against Leyton Orient was dismissed at a High Court hearing, with all debts having been repaid. The details of the deal for Eagle Investments 2017 Limited to purchase the club have not been revealed, but the club confirmed it was "not associated with Dunkin' Brands, the parent company of Dunkin' Donuts and Baskin-Robbins." Travis, who was born in nearby Woodford, is confident the O's can now move forwards as they aim to regain their Football League status. "I have been a passionate Leyton Orient supporter for my entire life and feel a great sense of responsibility to the players, the staff, the fans and the community," said Travis in a statement on the club's official website. "We have challenges in front of us, and I am not under-estimating those. However, over the long-term, we believe we can return the club to the Football League." Travis is set to serve as chairman of the Leyton Orient board, while other directors will include principal investor Kent Teague, who is from Dallas, and also a fan representative. The O's aim to recruit an "experienced chief executive, who will be responsible for the day-to-day commercial management of the club". Local businessman and long-time fan Marshall Taylor will take up the role on an interim basis. Outgoing owner Becchetti, who bought Orient in 2014 after they lost in the League One play-off final at Wembley, feels despite a testing period he has now left the club in a "position from which it can grow". The Italian said: "I invested a great deal in the club in good faith and have delivered the club to Nigel Travis and his consortium without any debts to the banks, without arrears for taxes and salaries and in a normal situation with its suppliers. This is a position from which it can grow. "Over the last two years, I have, unfortunately, not been able to dedicate myself to following the club as closely as I would have wanted. This is clearly the moment to leave the club to others and I know that in doing so I am leaving it in good hands with Nigel Travis. "I give my sincere best wishes to the fans and to the club for a bright future, full of success."